Join the discord to get updates about the addon. You can also report bugs there too or suggest new features. WARNING: This addon is still a work in progress. 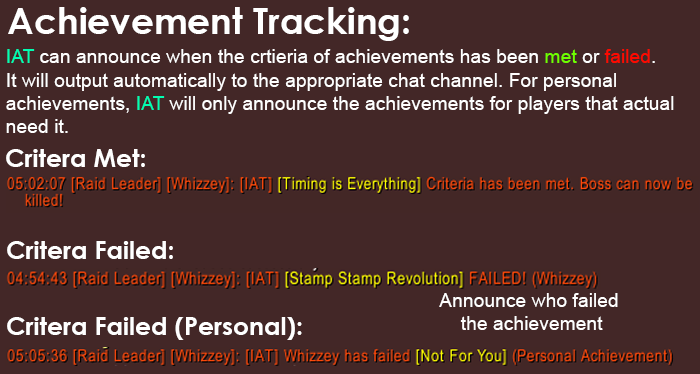 I've added tracking for over 300 achievements, so there are bound to be some errors. If you come across any issues, It would great if you could report the issue in the comments below or on the discord server. Instance Achievement Tracker helps track whether the criteria of achievements in raid or dungeons has been met or failed. All information is announced in the appropriate chat channel (raid, party, say) depending on the type of group you are in. 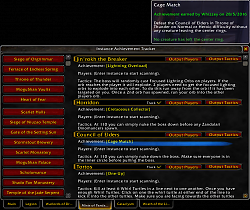 Instance Achievement Tracker will also keep track of how many mobs are currently alive for achievements which require you to kill a certain amount of mobs in a time period. You can also easily see which players in the group are missing which achievements and announce tactics directly to the group chat. 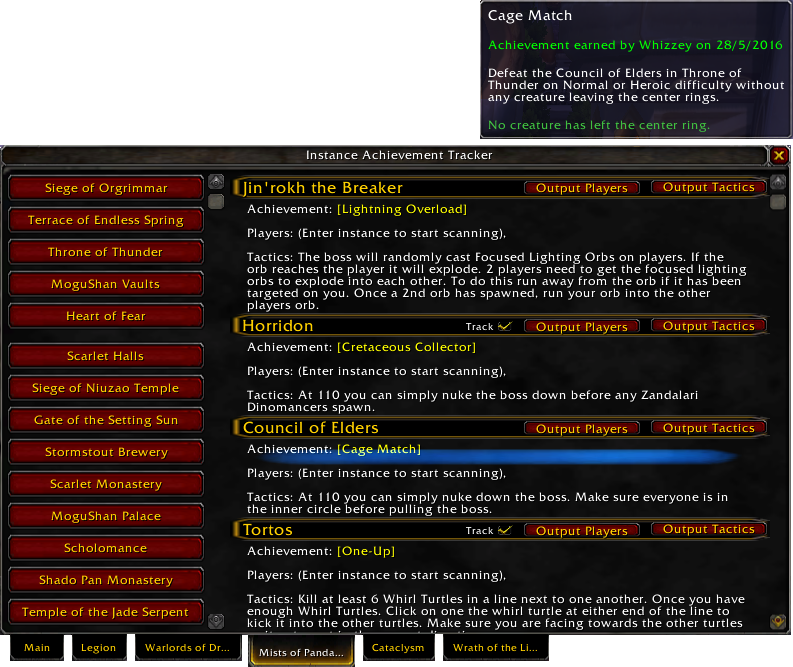 Keeps track of achievements which require you to kill so many mobs within a certain time period. 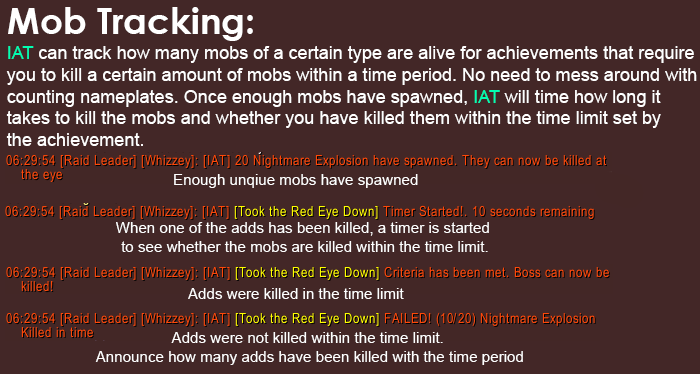 It will announce to chat when enough mobs have spawned. Announce to chat tactics for a certain boss. -If player are transformed after success then announce fail until the transformation has finished. -Can I Get a Hek Hek Hek Yeah? 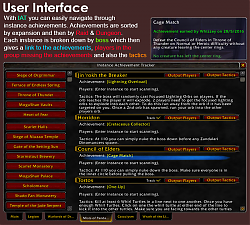 -Added tactics for Battle of Dazzar'alor. Thanks Nightswifty and the achievements discord for these. -Updated deDe, esEs, ruRu localisations. -Fixed a bug with personal achievement tracking which prevented users on other realms from the player being scanned. 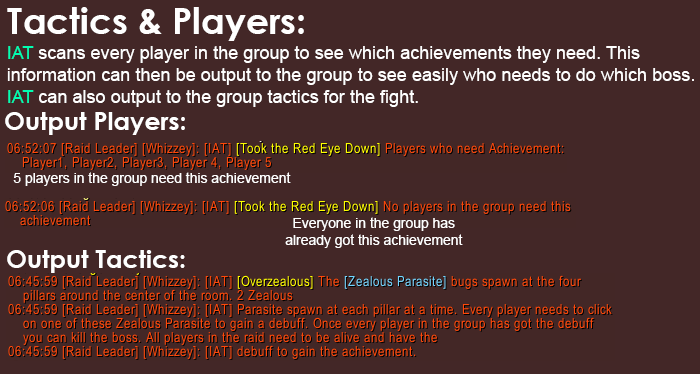 This should hopefully fix issues with the Ready For Raiding achievement in The Motherlode. -We Got Spirit, How About You? - Added some additional checks. -Terrible Thrash - Minor change to how GUI resets after each pull. -We Got Spirit, How About You? -Added localisation strings for all tactics. Will add to curse once all tactics have been finished. -Terrible Thrash - Hopefully this should be working now. -Trust No One - Will now track debuff being picked up before boss is engaged. 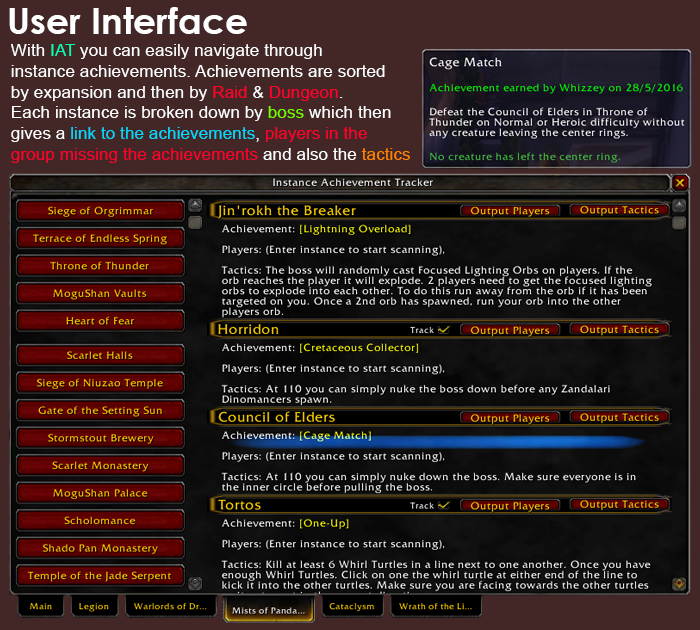 -Added tactics for BFA dungeons. Fixed BFA tracking to work in languages other than English. discord would be really appreciated. Only clear variables if the function exists. 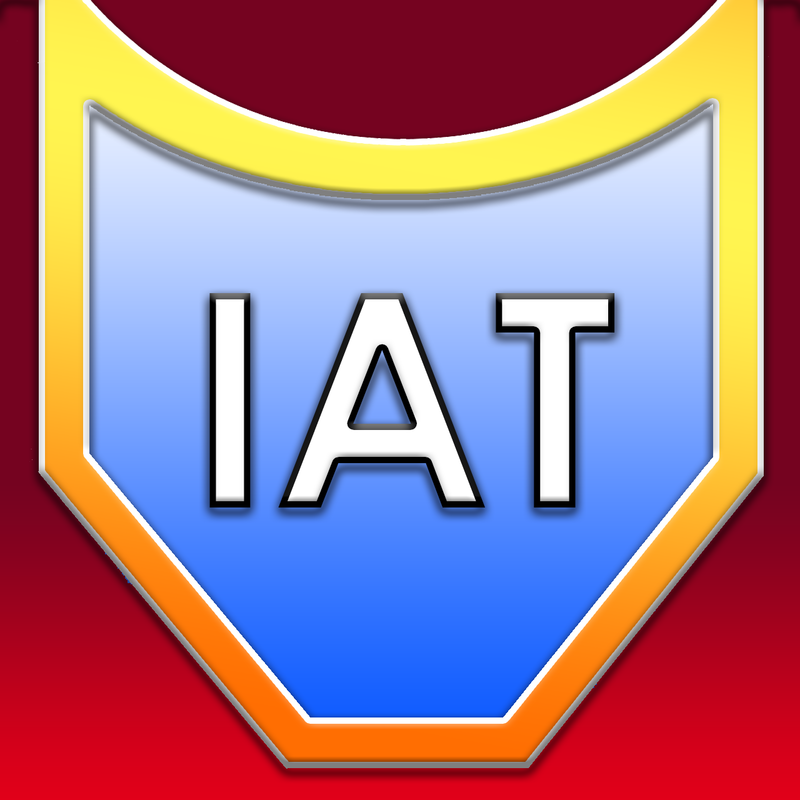 This will stop errors in instances with no tracking. Thanks snichols1122, I have fixed this for the next release.